Is more economic growth the solution? Will it deliver prosperity and well-being for a global population projected to reach nine billion? 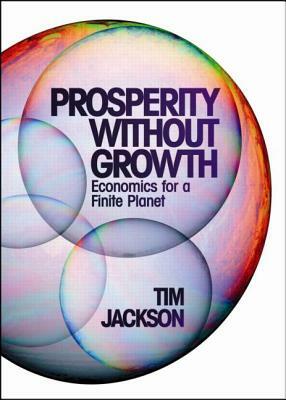 In this explosive book, Tim Jackson - a top sustainability adviser to the UK government - makes a compelling case against continued economic growth in developed nations. No one denies that development is essential for poorer nations. But in the advanced economies there is mounting evidence that ever-increasing consumption adds little to human happiness and may even impede it. More urgently, it is now clear that the ecosystems that sustain our economies are collapsing under the impacts of rising consumption. Unless we can radically lower the environmental impact of economic activity - and there is no evidence to suggest that we can - we will have to devise a path to prosperity that does not rely on continued growth. Economic heresy? Or an opportunity to improve the sources of well-being, creativity and lasting prosperity that lie outside the realm of the market? Tim Jackson provides a credible vision of how human society can flourish 1/2 within the ecological limits of a finite planet. Fulfilling this vision is simply the most urgent task of our times. This book is a substantially revised and updated version of Jackson's controversial study for the Sustainable Development Commission, an advisory body to the UK Government. The study rapidly became the most downloaded report in the Commission's nine year history when it was launched earlier this year.